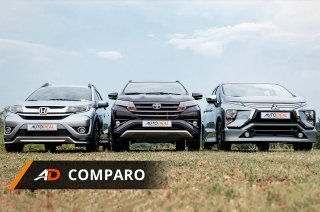 Injecting the needed spice in Toyota's local lineup. 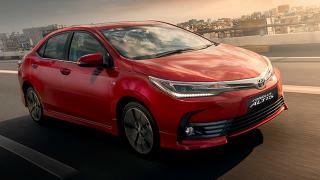 Seven years ago, Toyota launched the first generation 86, aimed at capturing enthusiasts and reviving the AE86 moniker that had lived on since the mid 1980s. 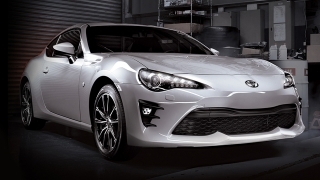 The Toyota 86 is a throwback car, a nod to the era when Toyota had an a small, light, front-engine/rear-drive car that provided an exciting ownership experience. Toyota handed me the keys to a 2017 Toyota 86 in Pure Red with a manual transmission. Having enjoyed a mid-cycle refresh in 2017, the Toyota 86 carries the same specifications up to this day, because, if it isn’t broken, why fix it? 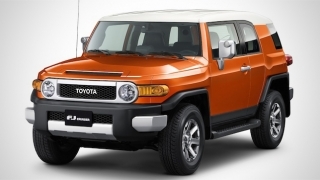 Let’s see if the past two years have been nice to the 2 plus 2 sports car from Toyota. It’s safe to say that the Toyota 86 is an instantly recognizable car, and it helps that there has always been a huge following around the world. The Pure Red color is just one seven available colors with the Toyota 86, and I have to say, it looks handsome despite the silhouette being close to seven years old. 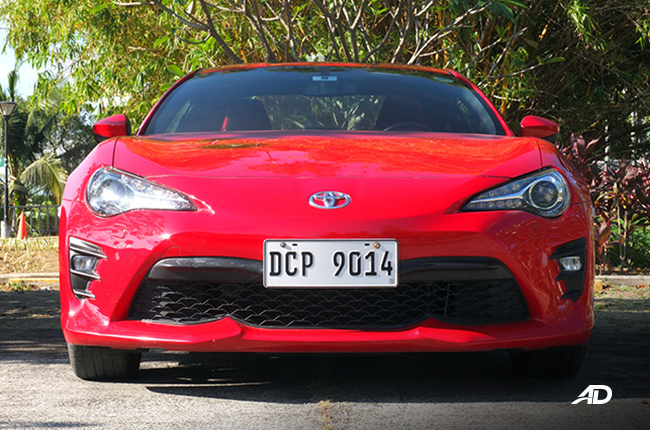 The application of a slightly tweaked bumper with a wider, more aggressive grille and vents, is the only major design change to the Toyota 86 since its inception. 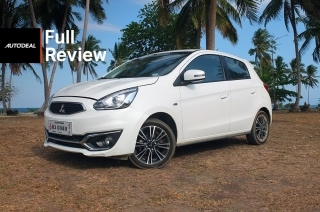 The rest are a mix of great functionality updates and aesthetic tweaks for the exterior. 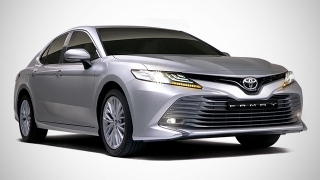 Smaller “86” badges now take the place of the larger boxer engine piston logo on the quarter panels, and they’re closer to the center now. 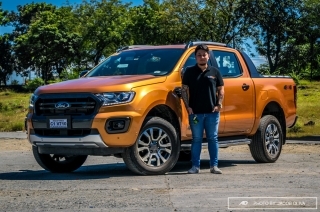 Functionality comes in the form of new LED lighting for the headlights, fog lamps, and taillights, adopting a sleeker and much more modern lighting signature. I just wish the LED parking lights would function as daytime running lights, adding to the already sporty fascia. 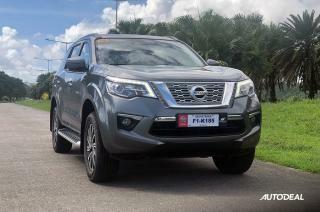 A sleek shark fin antenna, chromed tips for the exhaust, and new, multi-spoke 17-inch wheels round up the exterior updates. 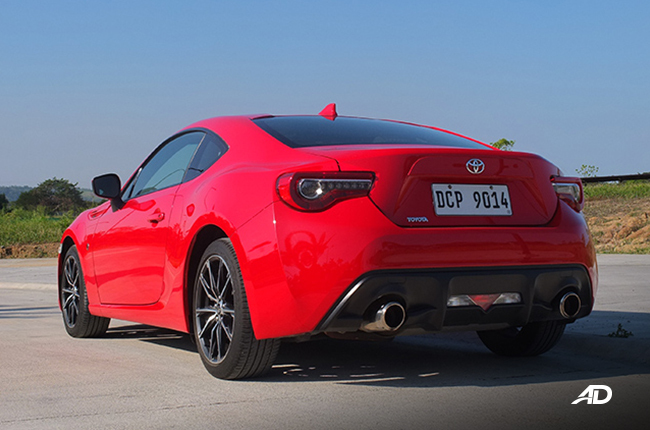 It’s a nicely done nip and tuck, and the Toyota 86 has aged pretty well with these small updates. 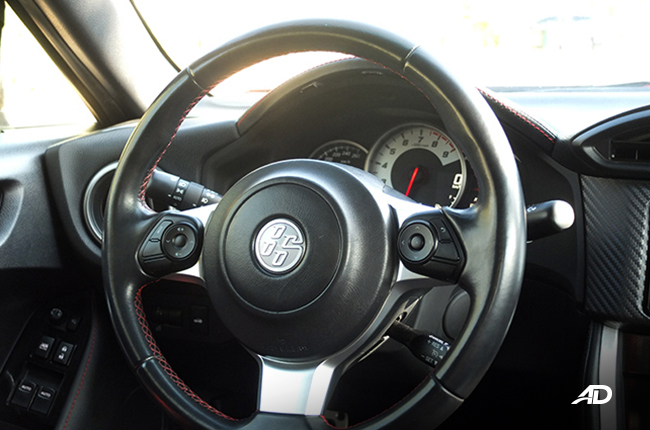 The Toyota 86 always had a cabin that focused on control and driving enjoyment, with everything within arms reach. 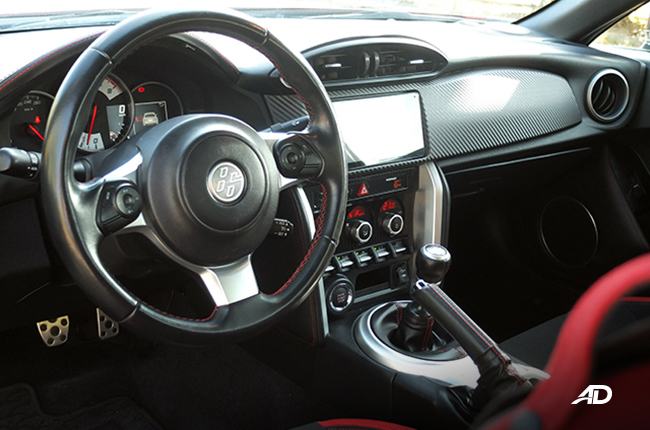 If you’ve seen the previous interiors of the early Toyota 86, you’ll notice that they’ve toned down the red colorways around by quite a bit. You now have red only in the stitching and edges of the seats, providing a good contrasting theme with the rest of the black interior. Materials are a mix of nice fabric, leather elements, and textured plastic. Everything is nicely put together and feels tight, and it helps that the materials are spread across the cabin in a logical manner; if it’s within reach, it’s probably soft to the touch, if it’s not meant to be held, it’s a harder material. 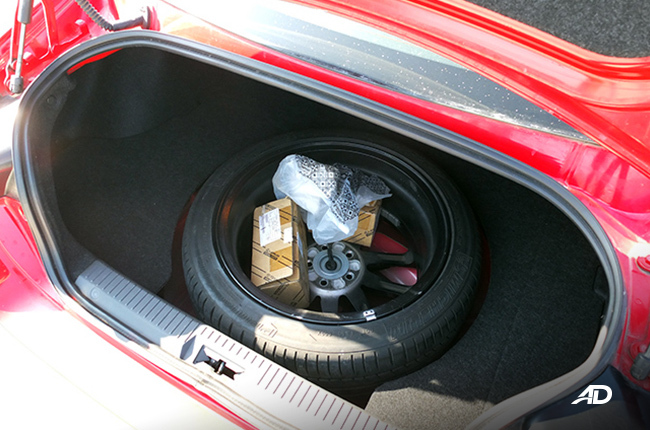 The trunk is decently sized for a few overnight bags, but the spare tire takes up most of the center. 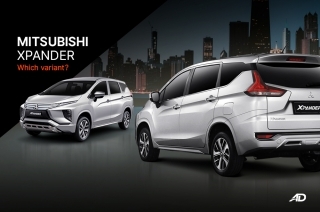 The 2017 model adopts the same basic layout for the dashboard, updating key elements to help bring a little bit more convenience to passengers. 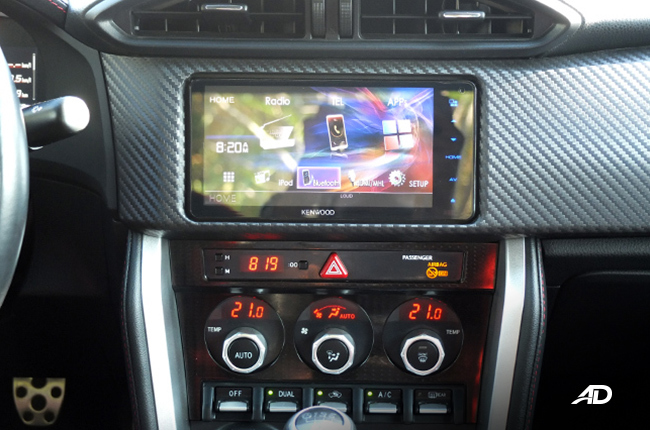 An updated Kenwood touchscreen interface with bluetooth and phone mirroring is now standard, and the inclusion of steering wheel mounted audio controls is a welcome addition. 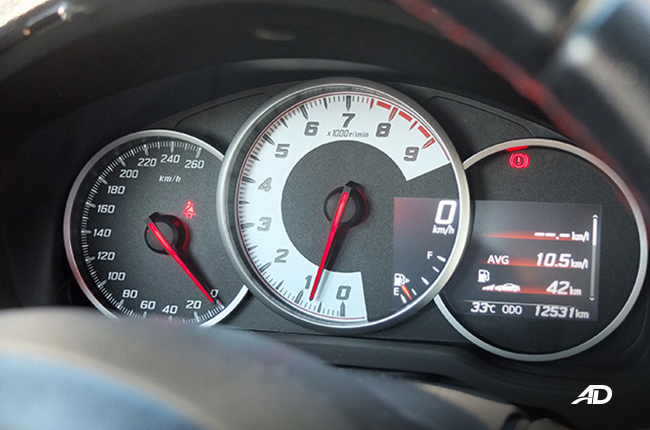 The instrument cluster has a nice multi-function display that blends well with the classic RPM and speedometer layout. 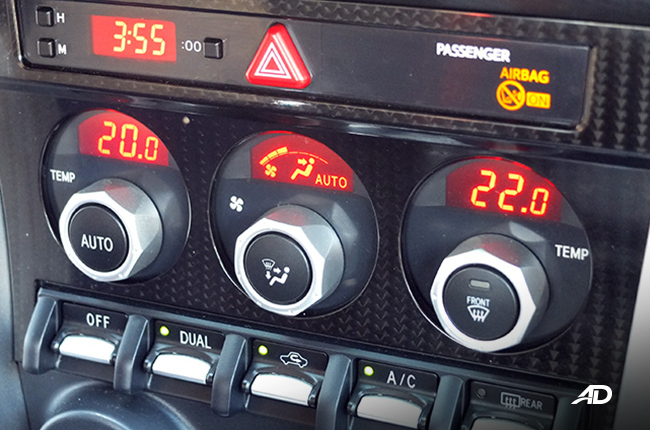 A digital speedometer and a gear indicator are also provided and sit at the center of the cluster. 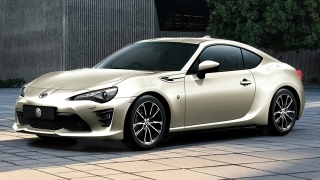 The 2017 Toyota 86 starts to show its age once we start talking about convenience and amenities, but then again, this car has always been about the drive. 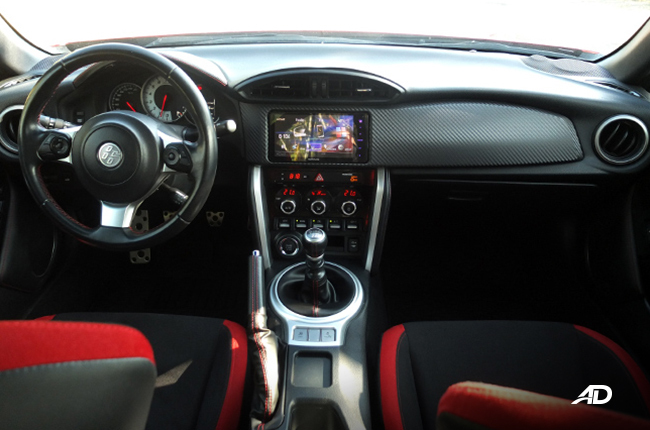 The 7-inch infotainment system is an older model, and it’s extremely finicky to use, resulting in a lot of menu digging to find certain functions. 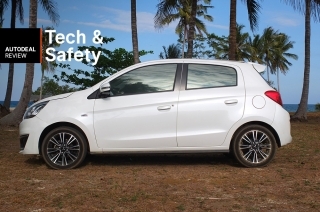 There’s also no parking sensors or reverse camera to speak of, and speed sensing door locks are non-existent. Seats are manually adjustable, but have a wide range of movement. No lumbar support or side adjustments, though. 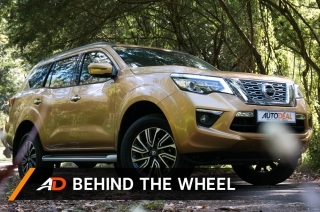 The steering wheel is both tilting and telescoping, allowing you to easily find the best possible driving position. 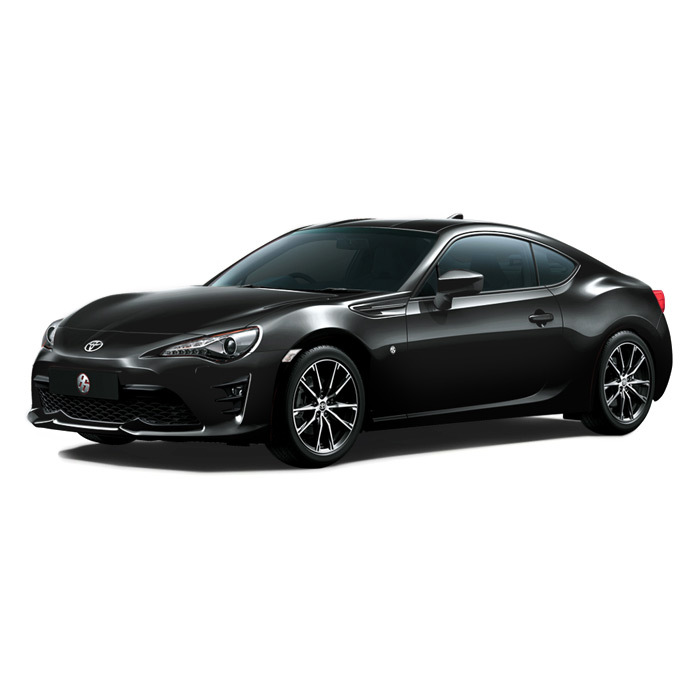 The Toyota 86 does make it up to you by providing hill start assist, cruise control, dual zone automatic climate control, and keyless entry with push button start. There are even some neat driving displays that provide information such as G-forces, lap timers, and a power delivery chart. 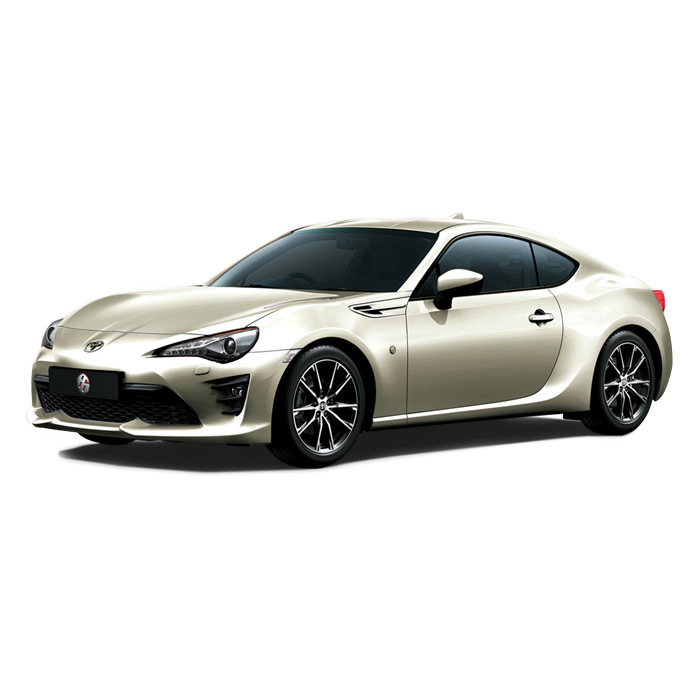 The Toyota 86 is comprehensively equipped with no less than seven airbags (driver and passenger, side, curtain, and a knee airbag) and seatbelt reminders for passengers. 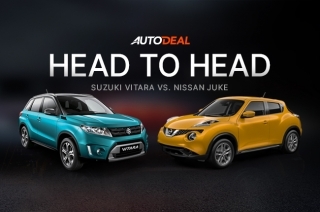 ABS with electronic brakeforce distribution and traction control are standard. ISOFIX mounting points are also found in the rear, allowing you to mount car seats with ease. 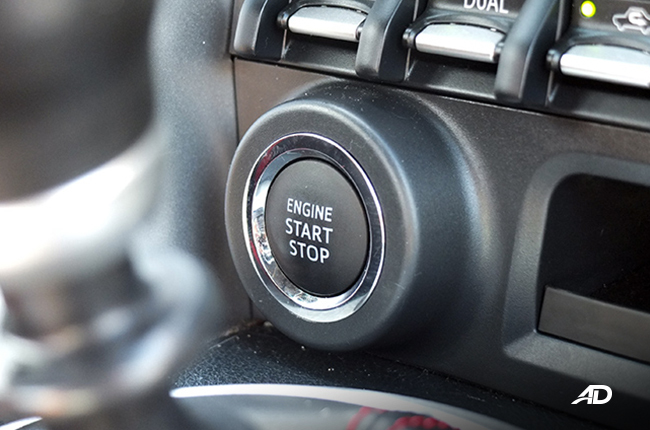 With the key fob in your pocket, all you have to do to get the 2.0L naturally aspirated engine going is to depress the clutch and press the ignition button. 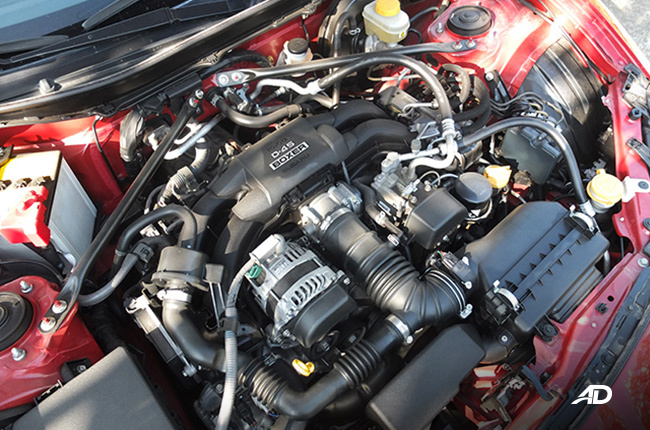 Under the hood of the Toyota 86 is the Subaru developed flat four cylinder that generates 197 hp and 205 Nm of torque, and is available in six-speed manual or six-speed automatic. 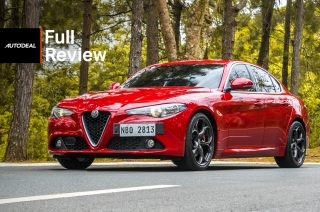 Naturally, the manual is the one to go for, allowing for more driver involvement in sending the power to the rear wheels. 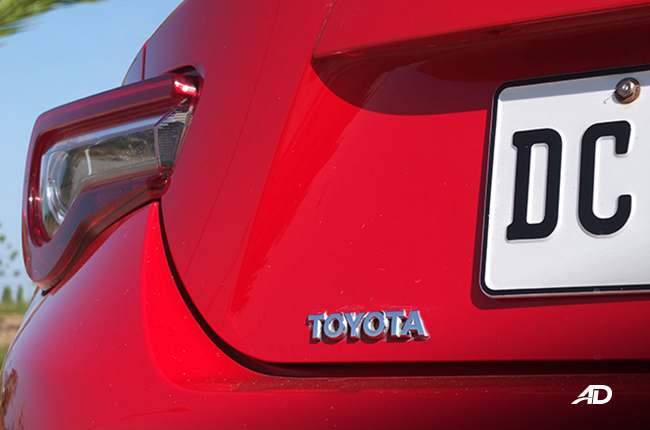 Once you’ve adjusted the controls to your liking, the Toyota 86 provides for some impressive driver feedback. 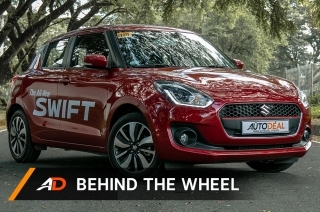 Things like visible fenders from the driver’s point of view help you aim the car through corners, and the nicely weighted steering wheel provides a good amount of feedback despite being electronically assisted. There’s a fair amount of stiffness in the suspension, and this is to be expected. 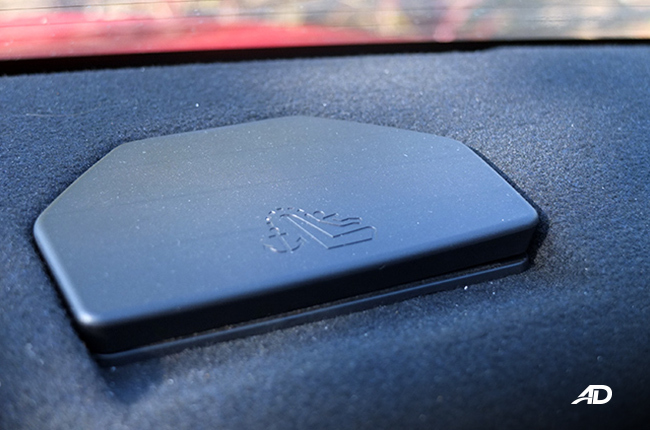 The tradeoff in comfort means that you get better feel and communication from the car. 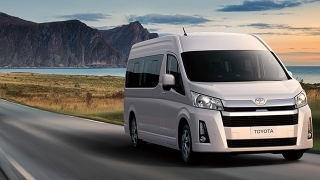 Handling is very good, almost point and shoot, really, and the seating position provides good pitch feedback in case the rear gets a little bt lively. 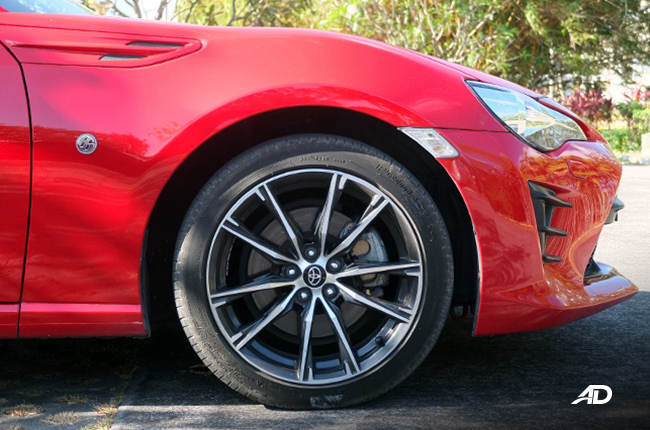 Thankfully, the Toyota 86 isn’t that low, so negotiating speed bumps isn’t as tricky as you’d expect. 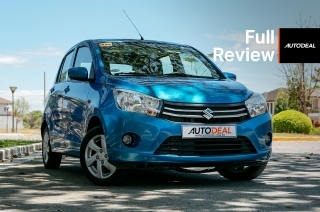 The clutch action is also light enough for daily driving, even with some traffic thrown in. 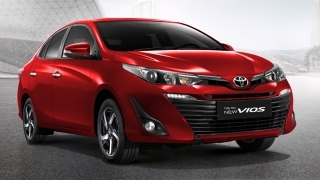 Take the Toyota 86 down your favorite mountain road or racetrack, and you can open up the rev-happy 2.0L. It creates most of its power near redline, and the crisp gear throws provide a confidence inspiring feel. 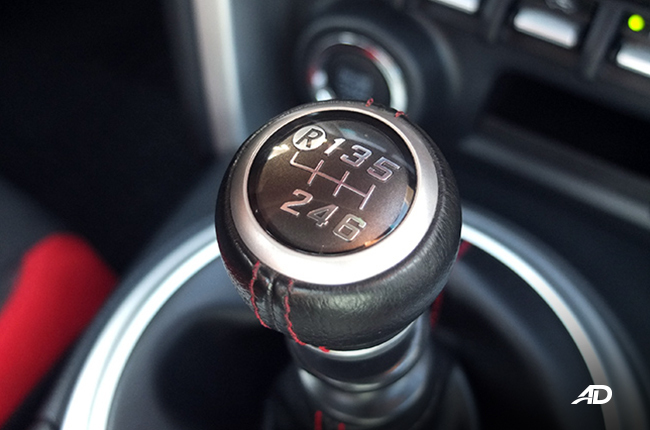 The pedals are also close together, allowing you to rev-match with ease. 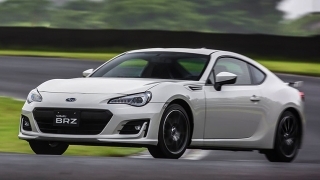 It’s a quick car, not blazingly fast, but is plenty of fun for those looking for manageable power with great driving dynamics, and maximizing the Toyota 86 is an extremely rewarding and pure driving experience. If you’re looking at driving the Toyota 86 with fuel economy in mind, I was able to get a decent 10.7 kilometers per liter in mixed driving conditions. Highway driving with conservative application of the throttle (very hard to do, trust me) results in 13 kilometers per liter. In the city, we expected 7-9 kilometers per liter, and we were pretty spot on. 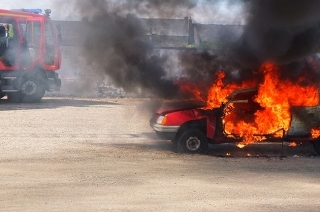 Related: How is fuel consumption calculated? 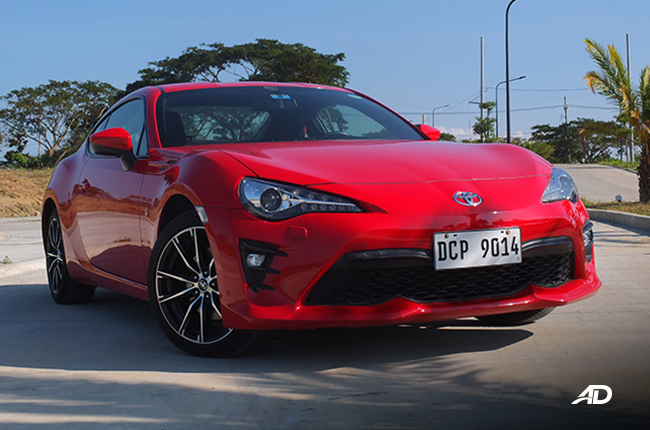 The Toyota 86 with a manual transmission was always one of my favorites in the sub-2 million peso sports car market, and would cater to those looking for something just a tad larger and slightly more practical, than say a Mazda MX-5. 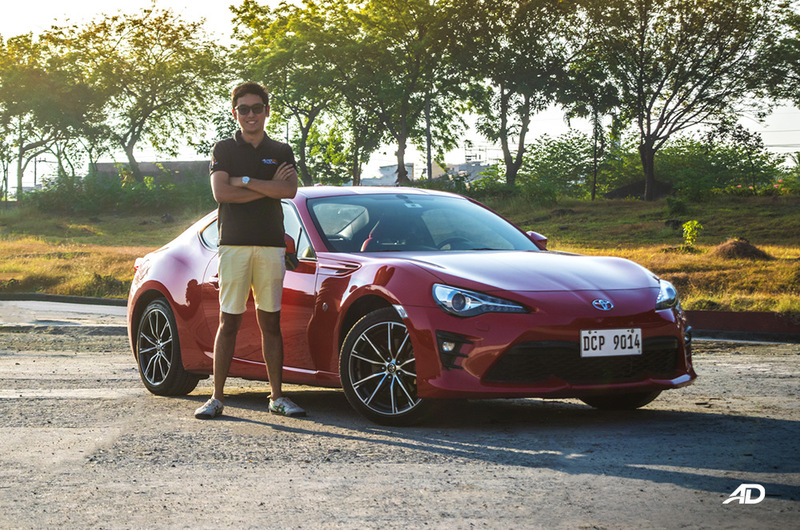 The past seven years have been kind to the Toyota 86, and it still carries the same allure and attraction since 2012. 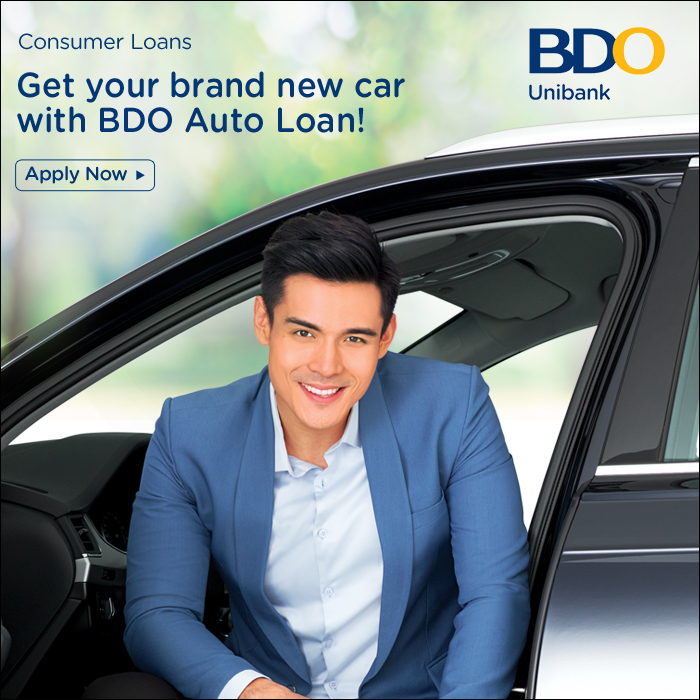 It’s fun to drive, great to look at, and has stuck to the tried and true formula of providing more smiles per corner than other more expensive performance machines. 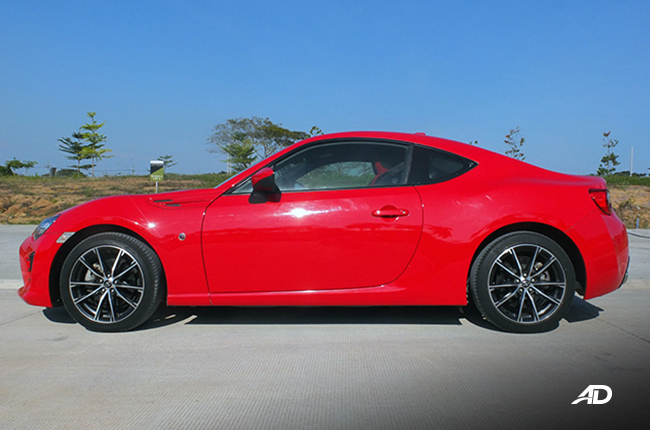 At P1,950,000, the Toyota 86 MT delivers with handling, punchy performance, a slight touch of practicality, and key creature comforts to help it remain a top choice in its segment. 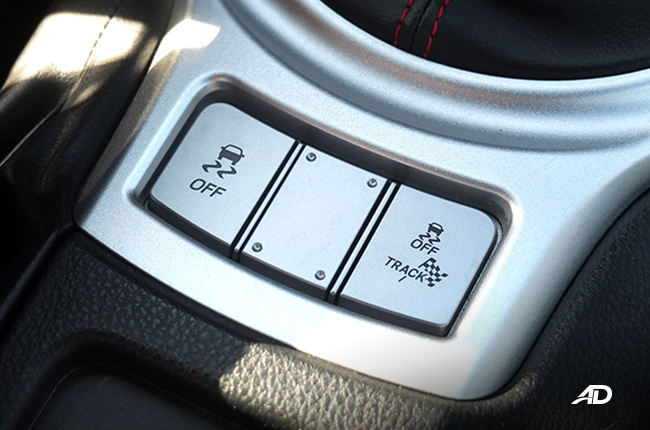 The available three pedals and a slick shifting manual are just the icing on the already tasty cake.